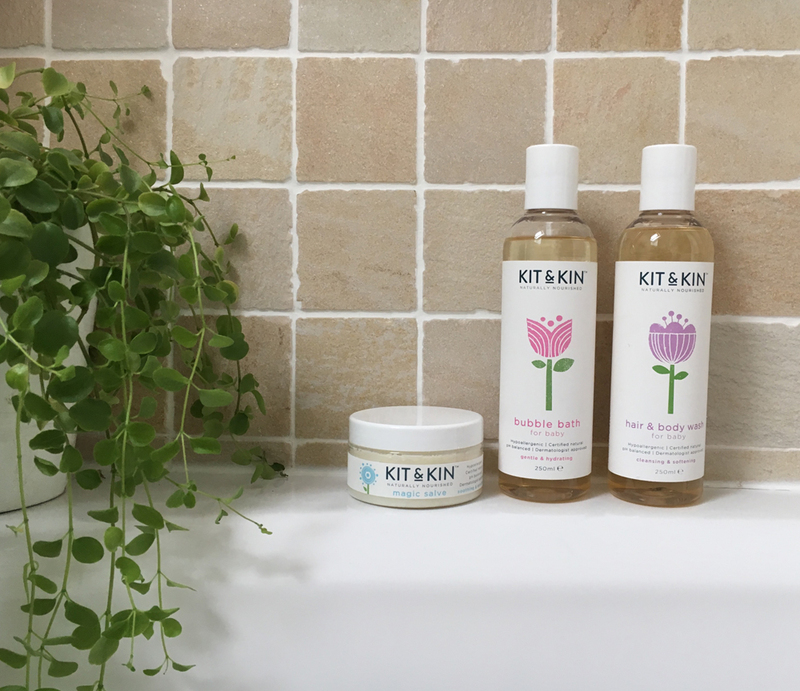 I have recently discovered this wonderful eco-friendly skincare range from Kit & Kin and the whole family have fallen in love with it! The line was co-created by the ever-so talented Emma Bunton after she noticed her little boy was developing excema and she struggled to find a skincare range that wouldn’t further irritate his skin. Having met up with Christopher Money, product developer, together they created Kit & Kin. What I love about these skincare products is they smell so good that I can also use them! A bonus for when we travel so much! The range entails products such as the hair and body wash infused with mango and strawberry, the bubble bath which contains extracts of plum, mango, strawberry and ginseng, body oil and the amazing miracle salve. We’ve used this salve as a moisturiser and also on sun tanned skin which has really helped soothe dry patches. In addition to the baby skincare range, Kit & Kin has also developed a divine mama range and the cutest of nappies which really have the most precious designs on. I think they’d be so cute on little bottoms in the summer sun!